10.13 Вт⋅ч, 2658 мА⋅ч литий-ион., 3,81 Volt, время разговора в сети 3G (сведения производителя): 20 час. В Apple не изменяют своим принципам, потому iPhone X получил закономерное перевоплощение с литерой “S” в названии. В соответствии с текущим циклом обновления, iPhone XS является скорее технически усовершенствованной и в целом улучшенной версией предшественника, нежели чем-то новым. Насколько заметной окажется разница между современником и предыдущей версией, вы узнаете в нашем детальном обзоре. Хорошо, что впридачу к самым быстрым в мире процессорам Apple не забывает продлевать время работы батареи. Многие телефоны Android живут на одном заряде значительно дольше: это обеспечивается всего лишь размером аккумулятора. Батарея Pixel 2 XL емкостью 3520 мАч, Huawei P20 Pro снабжен аккумулятором в 4000 мАч (на 26% больше, чем у iPhone Xs Max). Последние модели Apple легко держатся без подзарядки целый день, но по времени работы батареи в числе остальных флагманов топовых компаний они прочно засели в середине списка. В течение следующих нескольких недель мы будем с нетерпением ждать возможности основательно протестировать этот смартфон, и затем мы представим вам полный обзор iPhone XS со всеми подробностями, которые вам нужно знать, прежде чем окончательно определиться с выбором. С ним соглашается обзорщик из The Verge: «Я бы не спешил тратить $999 на iPhone XS, если у вас есть X. Если вы уже сделали предварительный заказ, не волнуйтесь: вам понравится iPhone XS. Это действительно новый iPhone, который, вероятно, будет актуален несколько лет. Я определенно предпочитаю камеру Pixel 2, но iPhone XS не так уж и позади, и это по-прежнему значительное улучшение по сравнению с предыдущими iPhone». The Apple iPhone XS is an evolution, but everything still adds up. More processing power, increased efficiency and improved camera quality are all positive points, but it’s the boost in both picture and sound quality that really cement this five-star review. The iPhone XS is undoubtedly one of the most accomplished smartphones out there. The iPhone XS and iPhone XS Max are among the best phones you can buy, and if you've been holding off on upgrading your iPhone 7 or iPhone 6s, either one of these handsets will feel like a huge leap forward. The cameras are miles better — especially in low light — and the A12 chip provides a big speed boost. From a photo-quality perspective, the iPhone XS is an excellent daylight camera that captures great pictures when the lighting conditions are favorable. This is without a doubt thanks to Apple’s camera software engineers who have done an excellent camera tuning job. On the other hand, if you don't have access to unlimited funds, you should seriously give the iPhone XR a look. Despite lacking a few features of its more expensive brethren, it isn't a compromised device by any means. Read our iPhone XR review to decide if it should be your next smartphone. Not a huge upgrade over the iPhone X, but a good choice if you're stuck on an older iPhone and fancy something new. These are amazing devices, but habe become so expensive that carrying one starts to feel more of a worry than a treat. I suspect the average user will feel satisfied with the results, but I do wonder about those who have experienced shooting with different devices. I have surprised more than a few iPhone users with results from other phones. In some circumstances, the iPhone XS and XS Max might turn the tables instead. At the end of the day, this is Apple’s best and most-expensive iPhone yet. Take it or leave it. 86% iPhone XS Review: Dial S for Superb! That does tell the story. Speaking for ourselves, we think the Max is the better option for gamers, binge video watchers and those looking for slightly better battery (yes, yes, it’s review is coming up soon), but for normal users, who want a great looking phone with great performance, the XS more than suffices. Yes, it looks like the iPhone X. But it totally outperforms it. And if that familiarity bothers you, buy the gold one. It remains expensive, but it remains in a (premium) zone of its own. With the same steep starting price as last year’s iPhone X, the new iPhone XS still feels overpriced based the market’s general price/performance balance but that’s nothing new where Apple is concerned. The iPhone XS, then, is today’s phone, today. Yes, it’s a small step forward for the iPhone X, but the iPhone X itself was a big step forward. If you haven’t joined the X family yet, this is a great time to jump on. If you want a larger phone, the XS Max will suffice—as will the XR, probably. iPhone XS/XS Max Camera Review: The best cameras ever on iPhones? Yus! That said, there can be no doubt that these cameras are among the best in phoneland in best iPhone tradition, and perhaps the best reason for anyone on an older iPhone to upgrade. Most significantly, however, the new iPhone cameras continue to largely stick to the virtues that made the iPhone perhaps the most used camera in the world: they are simple to use (the UI remains as uncluttered as ever), they work fast, and their results – for all the talk of smart HDR and Beautygate – are closer to what one sees rather than what would please one. Good old WYSWYG – no cameras bite reality quite as well as these ones do, in spite of all the computational magic and the mild enhancements on the selfie front. If you’re after a sub-6in iPhone, the iPhone Xs is what you want, with an outstanding camera, blazing performance and a truly top-notch screen. If you don’t mind a bigger footprint, however, it’s outclassed by the Xs Max - and it’s not that much more expensive. When Apple launched the iPhone X, the company billed the device as the smartphone of the future—an audacious claim considering what the device lacked (physical home button, headphone jack). One year later and it’s plain to see the iPhone X has had an indomitable impact on the mobile industry. To be clear, the iPhone XS is every bit as good as the iPhone XS Max, save for battery life. It delivers on Apple's (now yearly) promise of being the best iPhone ever. iPhone is different, makes no sense comparing with the Android phones. Also in terms of price the iPhone looks really costly but as mentioned you will be using it for 2 to 3 years easily as the iPhone XS will not get outdated for another 2 to 3 years. Overall, are the new iPhones worth it to upgrade to? If you’re an iPhone X user, I think my answer is no. If you’re coming from an older device, then my answer is… wait it out. When having a hands-on with the XR at the keynote event, my first thought was that this would be the model that would see the most success for Apple this generation. The problem here is that Apple is asking for a lot of money – if you’re entrenched in the iOS ecosystem, I think it’s best to evaluate the individual pros and upgrades that the new iPhone XS brings over your current device. The iPhone XS and iPhone XS Max are among the best phones you can buy, and if you've been holding off on upgrading your iPhone 7 or iPhone 6s, either one of these handsets will feel like a huge leap forward. The cameras are miles better — especially in low light — and the A12 chip provides a big speed boost. Between the two, I'd opt for the iPhone XS Max because of its bigger and more immersive 6.5-inch display and longer battery life, but the iPhone XS is the new iPhone to get if you want something more one-hand friendly. The phone is available now, direct from Apple, in silver, space gray, or gold. It'll cost you $999 SIM-free with 64GB of storage, $1,149 with 256GB of storage, and $1,349 with 512GB of storage. It's another solid step forward for Apple, but it looks like we'll have to wait until next year for some real innovation again. Yes, the iPhone XS is the best phone Apple's ever created, but that's not really a surprise - it's the new one. The bigger question is: what's actually changed, given the design is so similar to last year? Well, the speakers are more powerful and 'wider' in sound, the camera has been enhanced with Smart HDR, the battery management is better and the chipset is far more powerful inside. These are all just tweaks though, and it's smart from Apple to remove the iPhone X from sale, as that would be a far more attractive option this year. While pricey, the iPhone Xs Max delivers an immersive 6.5-inch display, blazing performance and excellent cameras in an elegant design. But to be honest, me complaining about this is like talking to a wall. Most Apple fans do not care, and the company will continue to see record numbers of units regardless. It seems that Apple can afford to be stubborn because their products are revolutionary, and they provide, as ever, a compelling overall package for the vast majority of users. It’s that time of the year, and iPhone users can get busy shopping after the new iPhone XS, and XS Max have been announced. We’re sorry if you’ve bought your iPhone X last month, and maybe we can suggest reading Ubergizmo more often to keep up with these launches. Let’s get to business and look at how the new iPhone XS and XS Max perform, including against some of the best Android handsets. For those with an older iPhone 6s or 7 this is a good upgrade to consider. But the price is not an easy one to accept with or without EMI. In India, it is hitting that Rs 1 lakh price bracket. So it will make more sense to wait till iPhone XR is out, and then take your pick. After all, the XR comparatively cheaper, though it is not ‘affordable’ by any standards either. But it comes with compromises like an outdated screen resolution and single rear camera. The XS Max is bigger, the XR is cheaper, and the X is largely the same and came out a year ago. Why would anyone buy the iPhone XS? The Apple iPhone XS is a worthy smartphone and a benchmark for the whole industry, that's for sure. If money isn't an issue, then go ahead and buy it. Logic dictates to get an older iPhone or wait for another year, but we know people will get it just because it's the new iPhone. For me, the iPhone is the single most important device in my life. With its increased speed and smarts, the iPhone XS makes all the little everyday tasks that much faster and easier. I’m addicted to speed. And if Apple can make each year’s new iPhones this much better, I’ll be hooked for life. After seeing all these heavy prices of 2018 iPhones, I am not impressed at all. They are way too expensive with a few new features, that doesn’t require this much money. If you are having iPhone X and thinking to upgrade then I will say a big NO, and if you are upgrading from iPhone 6 or iPhone 8 then you can but still think of this much money in which you can get a used car. The choice is yours, do tell us in comments! $1,300 is a lot for a phone, but for a camera of this quality, $1,300 is actually a bargain. Think about that for a moment. If you have any qualms about dropping that much cash, whatever you do, don’t visit an Apple Store to test one out. You’ll be hopelessly hooked. Those prices are insane for any smartphone, but if you're an Apple fan, you should already be used to premium pricing. Whether you're willing to shell out that much for a smartphone is up to you, but if you're on the fence, it's worth noting that the original iPhone X is now 10 percent cheaper (but only at the Apple Store), and don't forget, the much more affordable iPhone XR, which shares many of the same features as the XS, is coming next month. For better or worse, the iPhone XS Max is just a massive iPhone XS. That's great in some ways: its 6.5-inch display is fantastic for watching videos and lining up photos, and there's a much better battery here, too. That said, only a few app and services so far make meaningful use of all this extra screen space. Beyond that, it’s simply going to be too much phone for some people to use comfortably with one hand. (You really need to try it before buying, if possible.) Even so, this is still Apple’s best big smartphone, and it’s more than enough to give Android’s best a run for their money. And one area where Apple has cut corners is with the power cable. Despite every modern Apple laptop being USB C only, the iPhone still ships with a USB A cable, and the tiny little power adaptor pumps out a measly 5W, so fast charging is only possible by buying another cable and adaptor. This seems ridiculous on a phone with few other compromises. The iPhone XS and XS Max are stellar smartphones. The pair of devices answer many of the complaints surrounding the iPhone X, including the lack of a larger display option, and the phone's sometimes questionable build quality. As with all iPhone "S" model upgrades, the iPhone XS is about bringing new processing power to a phone that already looks really good. The Apple iPhone XS offers a faster experience, a tougher shell, and a much better improved camera that really impresses. It moves the iPhone forward to be a better device, to continue to hold back the competition. For everyone else, I think it’s worth waiting to see how the iPhone XR turns out before rushing in. It has the same processor and the same main camera for $750. The only major question is how good its 6.1-inch LCD will look in comparison to the OLED on the XS. But for that, we’ll just have to wait and see next month. While $1,000 (and up) is surely a lot to spend on a smartphone, we have reached a point where four-digit price tags have become standard for premium offerings. Thankfully, all U.S. carriers offer great trade-in incentives, as well as the option to get a device via monthly installments so you avoid paying face value in one mass sum. This is a phone that is fast not just now, but it will remain fast for another two or three years. It is a phone that will get regular software updates. It's a phone that offers you better privacy. You can get a better camera in an Android phone like the Pixel 2. Or you can get a great screen in the Note 9. Or fantastic software in OnePlus 6. And these are more affordable phones. But there are something you can get only in the iPhone XS and the iPhone XS Max. And that is worth paying the high price. But, unlike with the iPhone 8 and iPhone 8 Plus, choosing the smaller handset does not mean you have to settle for a less optimum camera experience. Size is the only real differentiator. Otherwise, the two phones are almost identical, with matching specs, identical, beautiful design and the same powerful processor at the heart of each. If you're still on a button based iPhone you're going to love the upgrade. 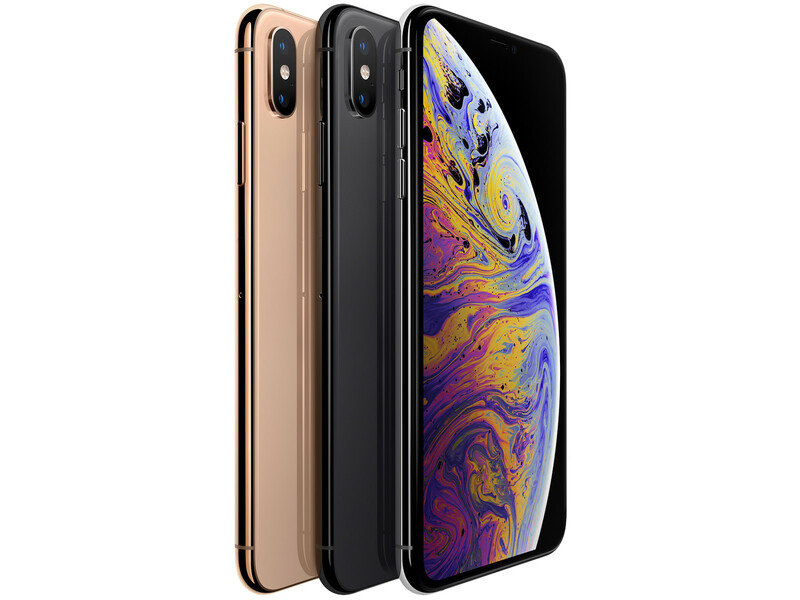 Of course, the Apple iPhone XS is a premium smartphone package that comes with a premium smartphone price tag. But if there's one thing we do know - Apple rarely struggles to sell new iPhones, no matter the price. The iPhone X is so last year. Apple's all about the iPhone XS now. The 5.8-inch phone sits right in the middle of a trio of new iPhones that includes the relatively cheaper iPhone XR on one side and the massive, pricier iPhone XS Max on the other. Apple’s just announced iPhone XS and iPhone XS Max are not the quantum leap forward some were likely hoping for when it comes to the tech giant’s smartphone line. Apple A12 Bionic GPU: Мобильная графика, встроенная в чипсет A12 Bionic, обещает 50% превосходство над предшественницей Эти видеокарты класса low-end предназначены для бережливых пользователей, которые, тем не менее, не прочь поиграть в игры. Они позволяют делать это при низкой детализации и среднем разрешении. Сравнительно низкое энергопотребление (современных представителей этого класса) обеспечивает неплохое время автономной работы соответствующих ноутбуков.